Legendary director Mani Ratnam’s intense romantic drama, Cheliyaa, released last Friday to decent reviews. The film’s intriguing backdrop of an Indian Air Force pilot captured by the Pak army in the Kargil war, becoming a POW and finally breaking out of the prison to find his love back has touched many a hearts. Now, Mani Ratnam’s production host Madras Talkies’ social media team has revealed the real inspiration behind Karthi’s character in Cheliyaa. 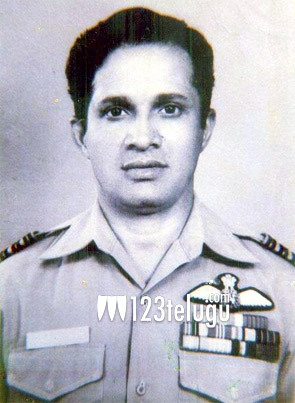 Apparently, Mani Ratnam took inspiration from the brave Indian Air Force’s Flight Lieutenant Dilip Parulkar, who was captured by the Pak army on Dec 10, 1971 during the Indo war. Dilip, along with Malvinder Singh Grewal and Harish Sinhji, escaped from a POW camp in Rawalpindi, Pakistan. Their heroic tale was engraved in the famous book ‘Four Miles To Freedom’ penned by Faith Jonhston and it served as an inspiration for Mani Ratnam.